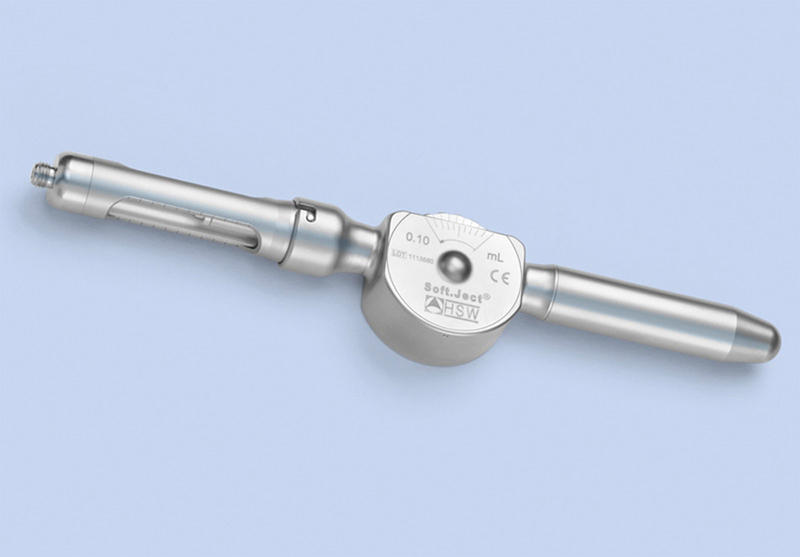 Anesthetic dosing wheel used for intraligmental and subcutaneous injections. Pressure and time control ‹0.01ml/second minimum flow. Autoclavable up to 200° C (392° F). ADA accepted, CE Mark, ISO 9001 certified.